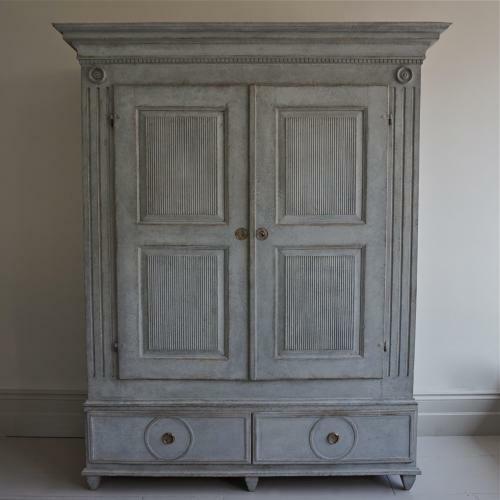 A very fine and imposing Gustavian cabinet in wonderful blue/grey patina featuring an overhanging pediment cornice with dentil trim, fluted corners topped with circular motifs, inset panelled doors with vertical reeding over two panelled drawers with circular carvings, and square tapered feet. A beautiful piece with maximum storage. Scandinavian circa 1840.